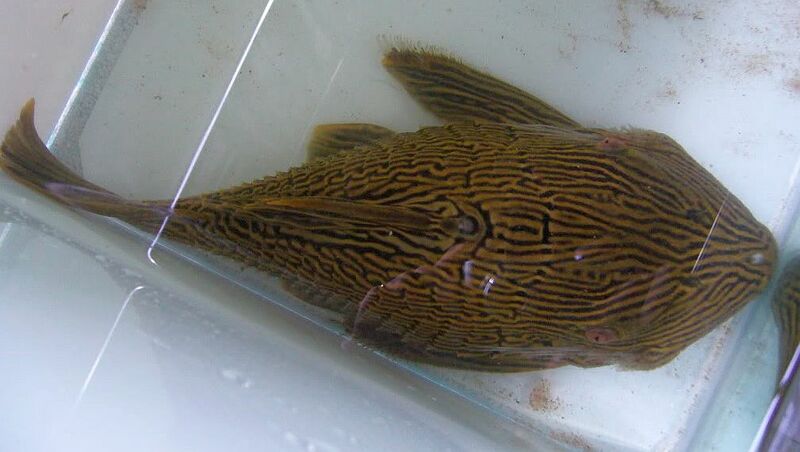 Tag Archive | "Goldline Araguaia"
The Gold Royal Plecostomus, is also referred to as the Golden Line Royal Plecostromus, the Goldline Araguaia, or the Platinum Royal Pleco. 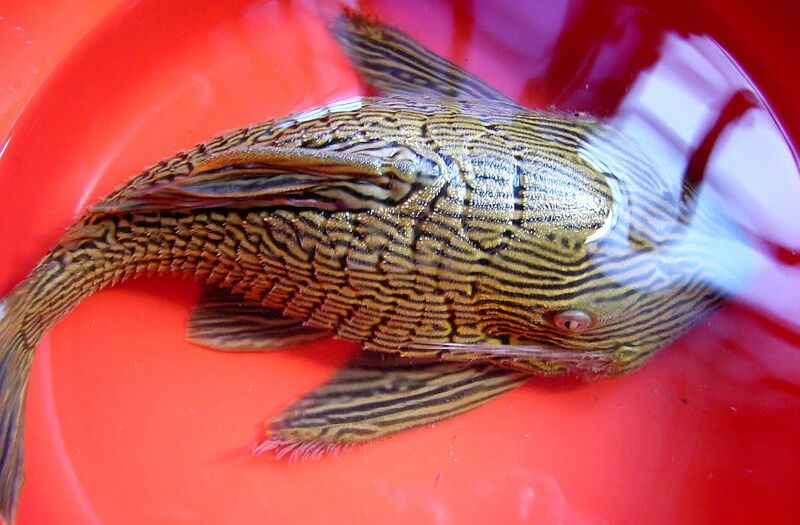 All Panaque nigrolineatus and their related species, subspecies, and morphs are commonly identified by the name Royal Pleco (L190). 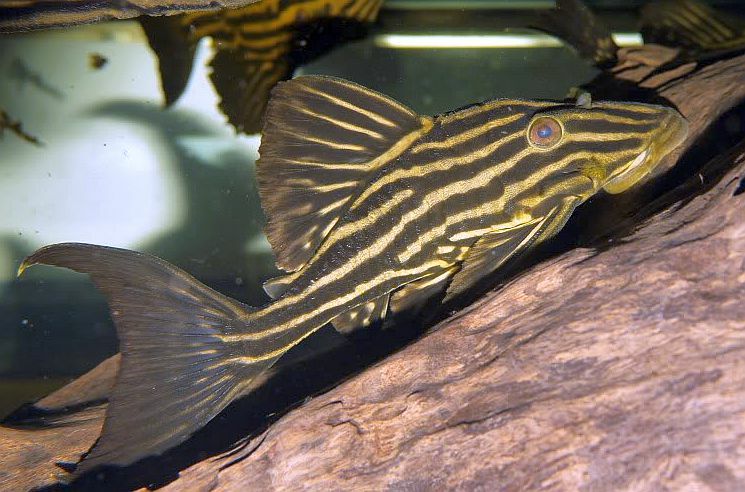 The Gold Royal Plecostomus (L027, L027c) is a large beautiful armored catfish found in the Rio Tocantins, Xingu, and Araguaia rivers of Brazil, that closely resembles and is often misidentified by tropical fish keeping enthusiasts as the Royal Pleco (L190). Its body is dark brown to black with irregular golden horizontal stripes. The rays of the fins are also golden in color. Gold Royal Plecos have rasping teeth that distinguishes some of the species. The Gold Royal Plecostomus is a very peaceful fish that makes a nice addition to any large community tank. They are good algae eaters and do well in a broad range of pH values (6.5-7.5) As far as water values are concerned, they have no special requirements outside of the usual conditiions needed for South American fish. Because they grow quite large (up to 17″) The Gold Royal Plecostomus requires a large tank of at least 125 gallons. It should be highly aerated, have good water movement, good filtration and be aquascaped with hardy fast growing plants, and plenty of rocks and driftwood to provide hiding places for the fish and reduce stress. Gold Royal Plecos are omnivores and although they are not picky eaters, they need a lot of driftwood in their aquarium. The biological matter (detritus and algae) that forms in and on the wood is a major part of their diet. Supplementing their diet with spirulina tablets, spinach, lettuce, algae wafers, freeze dried bloodworms and tubifex will keep them happy and healthy. 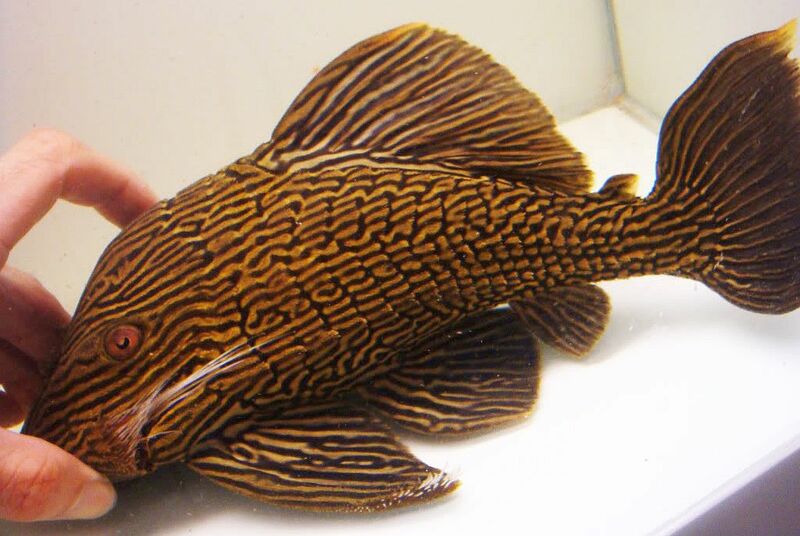 The Gold Royal Plecostomus that are available are wild caught and to date have not been bred in an aquarium environment. Very little is known about their breeding habits. Aquarium shops often misidentify these fish but when they are available for purchase, usually at 2-1/2″ to 4-1/2″, they demand a premium price and often suffer from malnutrition. Check their stomachs for being excessively concave before purchasing your specimen.